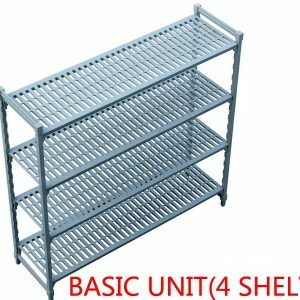 4 Tier Ezi Shelving Units (Basic Unit) prices vary with shelf size. 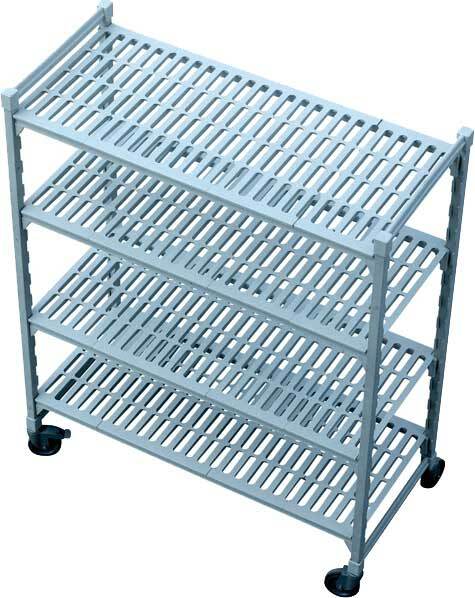 HACCP Compliant Shelving – Perfect for refrigerated storage too! The Smooth polypropylene surface is easy to wipe clean. 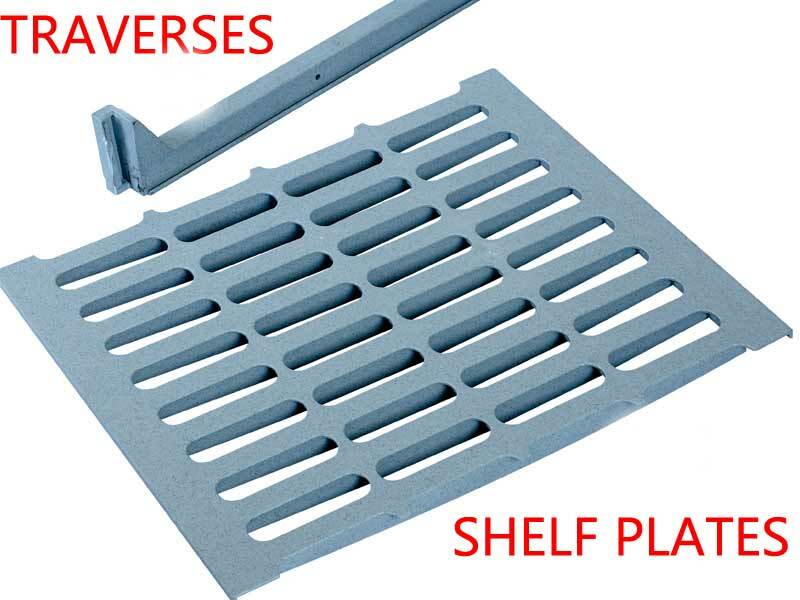 Each EZ Shelving component is dishwasher safe. The ease of cleaning makes it easier to ensure a HACCP compliant operation with a hygienic storage area. Posts and traverses, the weight bearing components are made with a steel core providing strength and durability to last. Build a shelving system to suit your requirements. 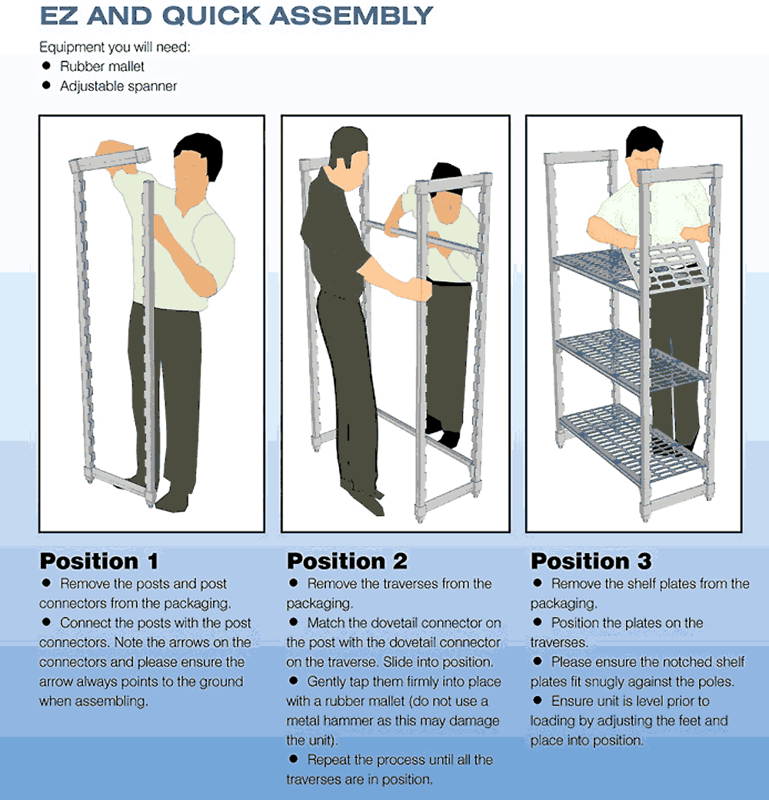 EZ shelving is available in two post heights – 1600mm and 1800mm. 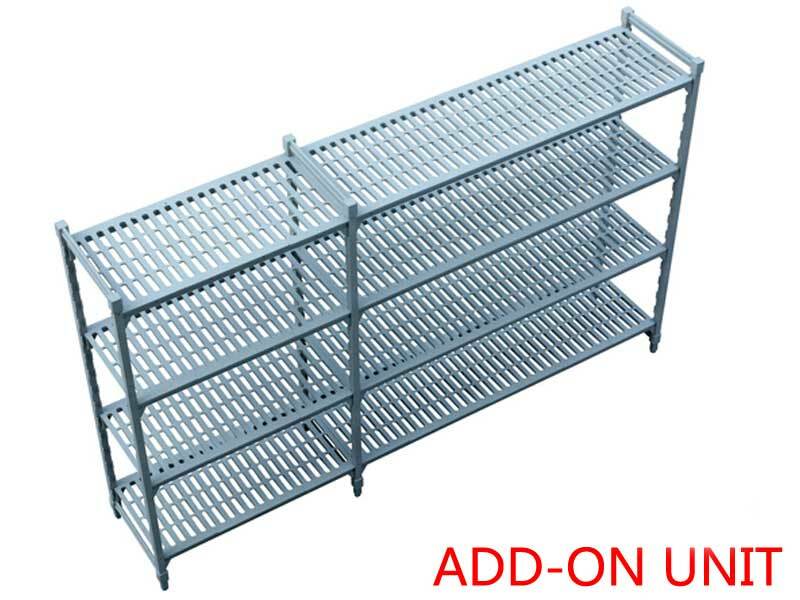 EZ shelving is available in two shelf widths – 455mm and 610mm. 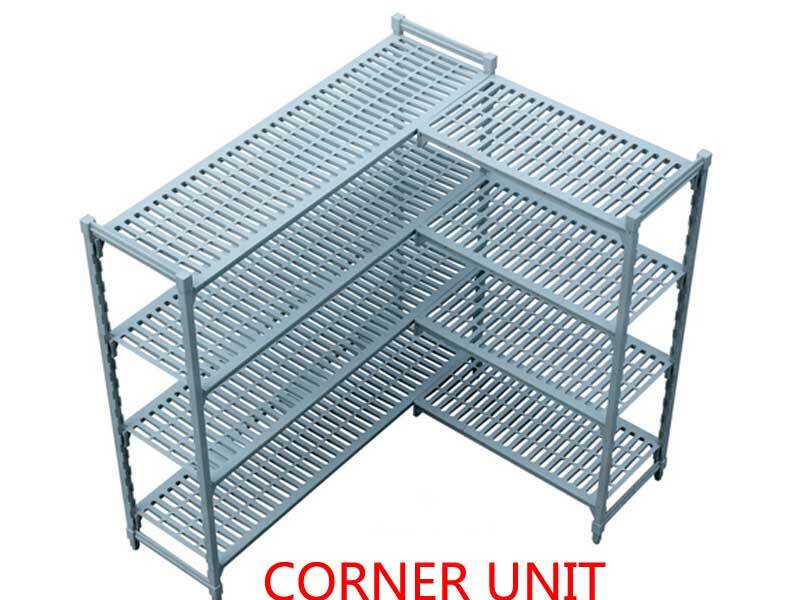 Corner connectors and mobile units are also available. No time to talk? Please use this form to get in contact with the Safco Commercial Equipment Supply Team. We will get back to you in the next business day!